All-new arc, all-new jumping-on point! HARBINGER WARS continues in a standalone, four-part arc of HARBINGER, featuring the return of original series artist Khari Evans (Carbon Grey)! o How will they react to the revelation of Project Rising Spirit's secret mission and the harbinger hunter known as Bloodshot? 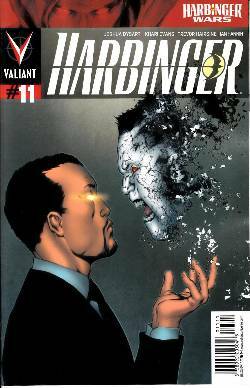 o Find out in PART ONE of HARBINGER WARS: HARBINGER!